Acoustic folk, rock and blues gumbo. Mike Cahill (guitar & vocals) combines original compositions with an eclectic blend of American music. 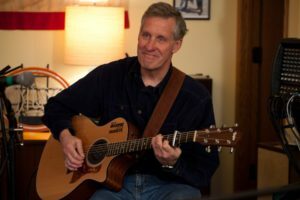 He draws on a variety of styles including folk, blues, pop, jazz, country and bluegrass while paying tribute to some of the finest songwriters of our generation — from Woody to Willie; from Dylan to the Dead; from Lennon and McCartney to Neil Young and John Prine. Song selections from three centuries of American music and unique arrangements will lead you on a journey down Americana’s memory lane.